As you can see, my friend is truly a believer. An otherwise half-assed Christian wouldn't go into fasting and prayer if they didn't truly believe in it. His conviction is commendable, and I feel he truly believes that the praying and fasting will help. So convinced is he, in fact, that he is practically certain that God can and will work wonders, and he sounds optimistic. After all, for the believer, anything is possible with God on your side. Perhaps sadder than the earnest prayers of my friend, his family members, his friends, and his church (who all left dozens of "I'm praying for him" posts) not working is the fact that, even after this immense failure of prayer, their reaction is to pray more! As a rationalist, I can't help but see the belief in prayer as a type of delusion because of examples like this. If something proves the opposite of what you believe, but you continue believing in it regardless, that's delusional. And I find it sad. The impotence of prayer isn't something to keep trying at once it fails. The neglect of God isn't likely going to change if you just pray harder. The fact is, prayer simply doesn't work. I think my friend, who is genuinely a smart guy, would probably be more inclined to realize this if he would just take a step back from his faith for a moment, take the religious goggles off, wipe the dogmatic fog of conviction from them, and take another look at his faith with a new clarity. As an atheist, when I see things like this it only confirms my atheistic belief that God does not exist. After all, it's a simple observation. If the Christian God was real, the prayers would work. They'd work all of the time. They'd work so often, one would assume, that atheists would likely have a hard time explaining it. But that's not the case. In actuality, prayers never work. The Benson study showed this and the countless examples like the above act as a constant reminder of this. 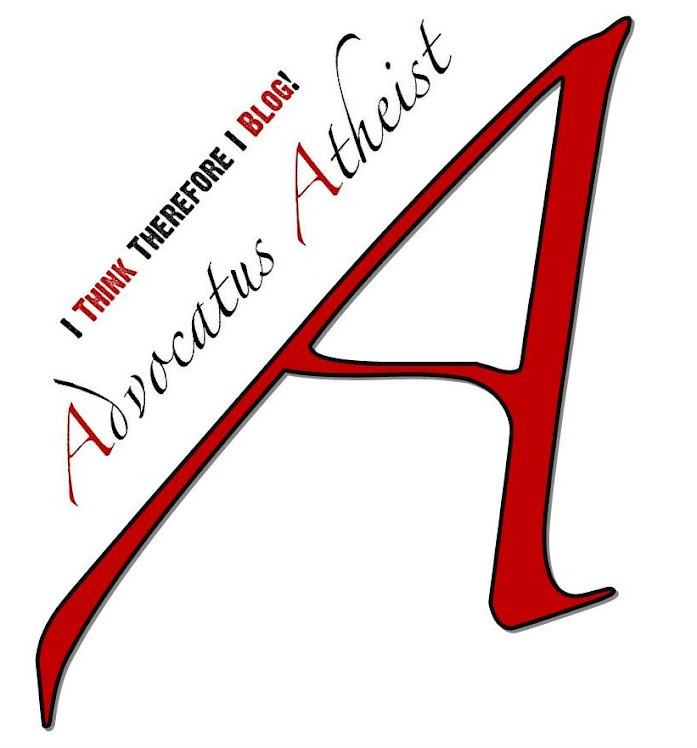 In fact, the impotence of prayer suggests, if anything, that atheists are on the right track--God doesn't exist and so prayers don't get answered. As for the religious who think God answers their prayers all of the time, well, it seems to me that they just haven't stepped back to look at the full picture and give it proper scrutiny. When you look at it from the outside in, it looks less like miracles from God and more like coincidence. 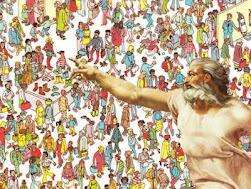 It looks a lot less like a loving God concerned with your personal affairs than it does simple, cruel indifferent fate playing out like it always has. Although I get the appeal of prayer. When I was a believer I prayed all the time. I told my friends I was praying for them, and they prayer for me. And it felt good knowing people cared. When things went right, everything was right in the world, and it confirmed my belief in God as a loving God who answered prayers. When things went wrong, well, I just took it as God telling me there was something I needed to learn from the experience. But now, looking back in retrospect it all just seems like wishful thinking to me. I've been busy doing cover design and publishing my books, which is why there has been a lull in blog posts recently. That said, if you're interested, my anthology on blasphemy, Reason Against Blasphemy, is now available in a second edition (paperback) with a gorgeous matte finish cover. It's a lovely book collecting the freethinkers G.W. 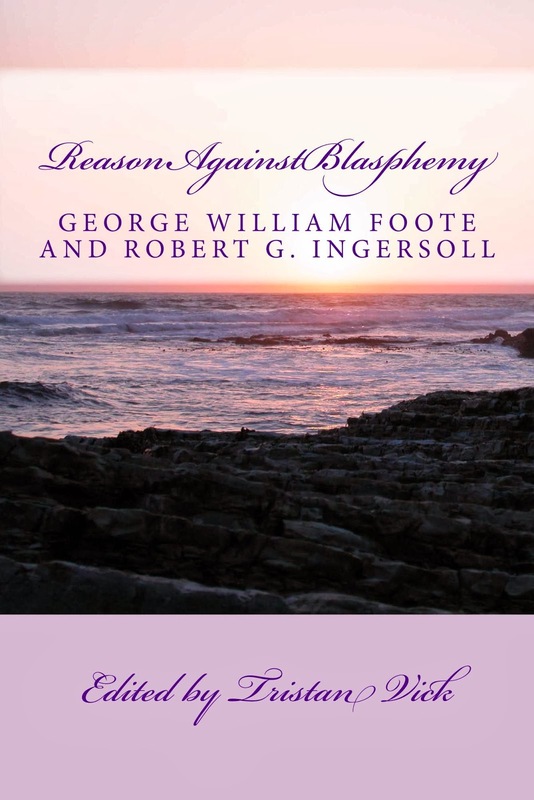 Foote and Robert G. Ingersoll's writings on the subject of blasphemy, and it's very enlightening. I highly recommend you get a copy (available on Amazon.com). Of course, unrelated to religion, I have just finished writing a new novella (222 pages to be exact) entitled The Scarecrow & Lady Kingston Rough Justice. It's only been out a week and already has a 5 star review on Amazon.com! Which is great for me, especially considering I haven't promoted it yet. Also, the deconverstion anthology Beyond an Absence of Faith will be out in the next month or two. I promise updates as it comes along! As always, live well and be wise. Steven Jake, the author of the up and coming blog TheChristian Agnostic, wrote a rather thorough response to my lengthy comment asking him about the state of the evidence regarding the historical Jesus. I am pleased he took the time to write a thorough response. I only feel that such a thorough response deserves my own more detailed response as my initial comment was merely that—a comment. So without further ado I will address some of Steven Jake’s comments and concerns. Initially Steven Jake (henceforth SJ) posted a quote from New Testament scholar Bart Ehrman claiming that there is an abundance of evidence for a historical Jesus. I merely contested this claim asking for what evidence we have that would be considered historically reliable. As I see it there is none. That doesn’t mean, however, I don’t think there wasn’t a historical Jesus, just that we cannot prove if there was or wasn’t and so I remain agnostic as to the historicity of Jesus—not a mythicist as Steven Jake seems to assume. Although please do not misunderstand me, I do not intend to demean the mythicist position as so many historicists do simply because they all seemingly take for granted the dearth of evidence contrary to what we would expect to find for any other well recognized historical event or figure of antiquity. Most settle for what other historians would call superficial evidence if it were applied to anyone other than Jesus to the same degree, which is quite telling I think. Like I said, it’s no reason to dismiss the historicist view, but it’s certainly no reason to dismiss the mythicist view either. That would be throwing the baby out with the bath water. You’d be surprised at how many Christians I speak to lack this common sense which SJ speaks of. I’m not referring to your educated, professor of New Testament studies at your local State University theologically minded type of Christian, but rather your average everyday church going Christian. Which is why most Christians cannot do any better than cite the Bible it seems. They have no desire to confirm their faith, because that would require testing it and holding it up to scrutiny, and then it wouldn’t be a simple matter of taking it all on faith anymore. One might be placed in danger of genuine doubt, and why doubt when you can simply have faith and take your beliefs for granted? Indeed, SJ is not mistaken. What the historian looks for is that evidence which is not far removed from the person’s life in which the evidence can be confirmed as a reliable record of the person’s existence and, if we have an abundance of evidence, a record which chronicles their life. Even so much as Caesar’s face on a coin gives credence to the person’s life when the coins are from the era of Caesar’s reign. As the old axiom goes, the Devil is in the details. It’s hard to discern whether Paul actually ever believed in a historical Jesus or not. You’d be surprised to learn that this is not as controversial of a statement as it may initially sound. Mainstream scholars have suspected Paul’s visions were of an already ascended *spiritual Christ for years, and Paul’s neglect to mention the slightest biographical detail of the most important figure of his time, and the man he worshiped no less, is peculiar to say the least. So the question becomes, then what did Paul believe about Jesus? So right off the bat we understand that Paul wasn’t trying to establish a historical Jesus nor was it important for him to do so. Although this opens up a whole series of questions for another time, I only wanted to show that SJ’s assumption that Paul believed in a historical Jesus takes for granted what historians can discern of Paul’s theological beliefs, even full well knowing that Paul ever only claimed to have visions of a Celestial type of Jesus, which is as far removed from history as any testimony can be. All citing Paul’s writing about encountering the ethereal spirit version of Jesus proves historically is that Paul had visions. It in no way confirms there was a historical Jesus. And even if we were able to confirm that Paul believed in a historical Jesus all we could say is that Paul believed there was a historical Jesus—but that would simply be the ardent claim of a believer, no different than any other claims of spiritual believers today who also believe in a historical Jesus. I do not doubt they believe what they claim, but proving it is another matter entirely. As for the Koran’s version of Jesus, this is an obvious borrowing from the Infancy Gospel of Thomas, a second century psuedigrapha, the earliest of which is quoted by Irenaeus of Lyon, ca 185. In both the Koran and the Infancy Gospel of Thomas a young Jesus turns a clump of clay into a living dove which flies away. This of course fits with the Christian symbol for God’s light filling Jesus, as you will recall the dove descending upon Jesus during his baptism by John. So the Koran’s Jesus stems from a source that is at least as old as the second century but could be as early as the 80s, placing it alongside the dates when the canonical gospels were written. This is true for numerous reasons, but primarily because the further away you get from the source (or source material) of an event the less reliable witness testimony becomes. Which is why the further away you are from any given event in time the more skeptical scrutiny you must apply to account for any possible factors that would confuse or alter the transmission of the original message. Anyone who has ever played the telephone game (also called Chinese whispers) will know that it is a lot more difficult the more people you add to the the line of those transmitting the message. If each person is symbolic of one year, imagine 2,000 people standing in a line trying to get the message all the way to the end without losing the original content. Of course, it’s not a perfect analogy, but it’s an apt one which often gets brushed aside. After all, we have texts, do we not? But even before the texts there were at least 70 odd years of messages (remember, Paul said nothing about the biographical history of Jesus). So that’s the equivalent of about 70 people standing in line playing Chinese whispers. I dare you to try it! Of course, you don’t need to be a scholar to realize there is a risk associated with putting too much emphasis on eyewitness testimony. My brother-in-blog Mike D. over at the A-Unicornist recently wrote an excellent blog showcasing the problems with eyewitness testimony. Among the some of the weaknesses of eyewitness testimony that Mike informs we need to be aware of are 1) reconstructive memory, 2) unreliability of individual eyewitness recollection, 3) problems of leading or influencing the witness, 4) false memories, 5) inability to confirm witness accounts by independent third parties, and 6) subjective variance in the interpretation and reporting of the *witnessed event, which often leads to discrepant variations of the event quite literally the moment after it happens. Now, I personally feel that the Gospel narratives internally disprove that there was any actual eyewitnesses by themselves without the help of making any outside the Bible assumptions. The very fact that the eyewitnesses often times talk about Jesus in the third person, doing things like praying alone in the garden of Gethsemane, or conversing with Satan and being transported through space and time with the Ghost of Future-past, not to forget Mark’s ending with the women stumbling upon the empty tomb, and then fleeing and telling nobody of it! Such accounts are obviously fictional when the author writes that nobody was there to see these things, or that Jesus was alone at these times, because then how do they know? Well, obviously they know because they created the story. Christians love to harmonize such Biblical accounts though and come up with ad hoc theories to justify it, such as supposing that Jesus told them about his wild adventures with the Devil after the fact, and they are just recording the stories for posterity. Of course, this type of harmonizing comes with its own set of problems, such as, how do we know Jesus was telling the truth? 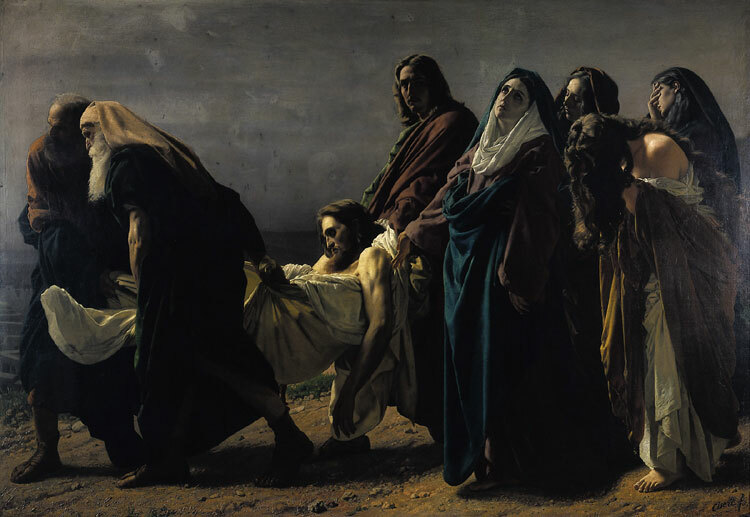 He may have simply been pulling their legs, or maybe he was delusional, after all Jesus’s detractors accused him of being a raging drunk and he never once denied the accusation. Along with his affinity to turning water into wine, it seems that if it came down to the probability of Jesus being drunk off his rocker or that these fabulous tales really did happen, the drunk off his rocker has the higher probability of being true. The only reason Christians don’t think so is because they presuppose Jesus’s divinity not his drunkeness. Here's the point I’m getting at. We cannot presuppose Jesus' divinity and then defend the historicity of Jesus while holding these presuppositions about him, because it biases the way we read the text. Jesus very well could have performed miracles, turned water into wine, walked and talked with Satan, and told his Disciples amazing stories about himself—sure. But the question is whether or not any of this can be demonstrated using the tools of the historian. That’s fine, but that doesn’t prove the historicity of Jesus. All that proves is that there were early Christians who believed in a man by this name to be the foretold Messiah. However, that’s all we can say from a historical point of view. To claim more than this would require corroborating evidence outside of the Bible. The fact that this evidence doesn’t exist outside Christianity is a problem. It doesn’t mean there couldn’t have been a Jesus who worked miracles and taught the good word, but what it does mean is that such a claim is not reliable. It’s not reliable because it cannot be confirmed. That’s what we mean by historically reliable. A claim about a historical person or event must be corroborated by others outside of the events themselves. Notice, however, that all of Jesus followers, such as the disciples and the Apostles, are all a part of the events being claimed as historical. That’s a lot like citing alien abductees eyewitness testimony and blog articles to support the existence of little green men. Because they were (themselves) part of the event, their testimony needs to be corroborated by other evidence. Did NORAD track an unidentified vessel breaching New Mexico airspace? Were there strange lights seen by others previous or prior to the said event? Were there any other recorded anomalies such as strange weather occurrences, recovered wreckage, or filmed alien autopsies; and so on and so forth. As with alien abductees who, like Fox Mulder, want to believe, I don’t doubt their sincerity. But verifying their claims as actual events, let alone historical events, is different than simply claiming this is what alien abductees tend to believe. The same is true for the claims made about Jesus by his followers. I don’t doubt their sincerity, but what can we prove? "For a historian these provide a wealth of materials to work with, quite unusual for accounts of anyone, literally anyone, from the ancient world[…] If historians prefer lots of witnesses that corroborate one another’s claims without showing evidence of collaboration, we have that in relative abundance in the written sources that attest to the existence of the historical Jesus." Of course, my above analogy about alien abductees is intended to show how such testimony, even of corroborated claims, can still be problematic when the corroborated claims come only from people experiencing the event and not from outside the event. I understand that it doesn’t rule out their testimony as fallacious, but it simply means we cannot conclude that anything happened as they claim it happened without further investigation. Even this isn’t the entirety of the problem though because where the Bible is concerned it seems there is very little extra-biblical evidence to corroborate with. That is, outside of the Bible, nobody claims to have met or heard Jesus. Rather, the claim is always this: that people in and around the first century knew of Christians who believed in a messianic figure called Jesus. That is the extent of it. Of course, I find myself thinking there was a historical Jesus for reasons other than what can be confirmed, but more on that later. It simply is worth noting that we cannot be certain, because of the verifiable sort of evidence we’d require to bring our doubts to rest. I would argue this suggests quite the opposite. Because we know about the relatedness of Gospel stories, what historians refer to as the Synoptic Problem, all we can say is that the parts not borrowed from one another have a greater chance of being made up than they do being original, independent, accounts simply not known by any of the other Gospel writers. We know this because the Gospels demonstrate a pattern of one-way literary embellishment. This is no more noticeable than in the gospel accounts of the empty tomb. The divergent accounts found in the Gospel narratives for the same event aren’t what are considered “historically reliable” by most historians outside of mainstream Biblical studies, because the stories, in each case, change so drastically that we have to wonder, as Tabor rightly points out, why didn’t anyone of the other authors make note of it? Why, for example, didn’t anyone else outside of the Christian community for that matter? Explaining it as a literary embellishment solves the riddle, explains for the theological alterations, and is much more plausible than each one of the events being accounted for differently, as if all the Gospel writers were there, on the day, recording the event only to selectively pick out the parts they felt interesting and leave out the rest and we are left scratching our heads. True. The Bible is a jambalaya of various sorts of texts, all thrown into the pot together, and some of them make historical claims, and some of them make mythological claims, and most of the time these claims are no way separated in the minds of first century believers. It is only after the fact that we can look at the Bible, with our modern bulwark of knowledge and ability to fact check, that we discover the various sorts of genre within the Bible. But all this is besides the point. It seems SJ and I concur that it is the Biblical evidence we must concern ourselves with. Of course, I wasn’t making the claim for everything the Gospels being unreliable. I was making the claim that because so much of the Gospel narratives do, in fact, turn out to be historical falsified, therefore it goes without sayinh they are extremely unreliable, and this fact puts a greater impetus on how we determine whether or not the Gospel claims about Jesus are reliable or not—and all this must be determined before we can say either way whether they are historically reliable in the first place. Reliability cannot simply be assumed. It must be demonstrated. SJ is right with one respect though, if we acknowledge the historical unreliability of the overall text, it doesn’t mean everything is forfeit, just that it is highly unreliable. So we have to devise a stricter method of objective analysis for determining which historical claims are accurate in order to gain a sense of the reliability of that claim. In other words, the objective scrutiny of the historian cannot rely on their feelings of the texts trustworthiness, but from a demonstrated reliability in which the text matches up with known evidence which corroborates or supports the claims made by that text and the author writing it. Simply to claim it has some historically reliable material doesn’t get rid of the problem. At best, it’s a dodge for not having to address the full weight of problem to begin with. Although I agree with his first claim, about scholars recognizing the imperfection of the Gospels, I do not fully see eye to eye with his second claim that most scholars believe that the overall picture of Jesus can be relatively certain. SJ quotes critical scholar Dale Allison, who mentions that the themes and motifs of the Gospels are consistently attested over a wide range of material, but as I noted above, only by Christians and only in Christian material and by nobody else. If it was attested to in a wide range of material including non-Christian sources, such as Jewish and Pagan sources, then it would gain the consistency that Allison eludes to. This not being the case however, I think it is a bit of wishful thinking to claim that the Gospel narratives give an overall picture of Jesus that we can be certain of. Additionally, it seems SJ has probably left out the most important of Christian creeds here, namely the belief in the resurrection itself as a historical event. As C.S. Lewis once noted, if Jesus was not in fact the living Lord, then he was either a liar or a lunatic. So we can assume that SJ, being a Christian, does embrace the resurrection event. Needless to say, simply rehashing orthodox Christian creed isn’t proof of anything. Everything SJ cited above is merely an assumption that the stories about Jesus told by unknown authors that are contained in the New Testament have historical truth to them. But that’s not at all evident from the stories themselves. Even Ehrman admits as much. How many, I wonder, have made this mistake reading the Gospel narratives and the story of a resurrecting Jesus? Suspending their judgement on historical accuracy of the narrative itself in favor of simply having faith that, at the very least, it is plausible? I would say a lot, otherwise there wouldn’t be so many Christians to believe in the historical accuracy of the Gospels or the Bible to the degree we find. I probably should thank SJ for making my point for me. All the NT sources we have do agree on all these details. But so what? That’s a whole lot like saying that Christians believe all these things about Jesus. Well, it’s exactly like saying that, because the NT are simply canonized writings of what Christians of the period commonly believed. As Ehrman would contend, that still doesn’t prove historical reliability. Convergence of agreement about the details of Jesus doesn’t matter here, because it’s not a convergence of agreement from outside sources. It’s a convergence of agreement by a group of writers all believing, more or less, similar things about Jesus. That’s like saying there is a convergence of agreement of details about Harry Potter being the “chosen” one in J.K. Rowling's romping childrens fantasy series. Of course there is a convergence of agreement in the Gospels, because they were written to agree with one another (more or less). At least, they agree with each other on certain key theological positions among Christians. The problem isn’t the agreement, it’s the amount of disagreement we find because much like Harry Potter everyone among the early Christians thought their theology should be the “chosen” one. Actually, this all cuts to the point, doesn’t it? Outside of the Gospel tradition it doesn’t seem there is any convergence of agreement to any of these “facts” about Jesus. Outside of the Jewish historian Josephus and Tacitus, we hardly even find mention of Christians, and certainly not Jesus Christ. It is true, however, that there is one line in Josephus’ Antiquities which makes mention of a man crucified of whom Christians believed to be the Christ. Although it seems a fallacious interpolation. Nonetheless, many Christians continue to believe Josephus’ account to be genuine, so let us take a brief look at what Josephus says, shall we? 1) Josephus was a Jewish historian writing in the first century (circa 37-70 C.E. 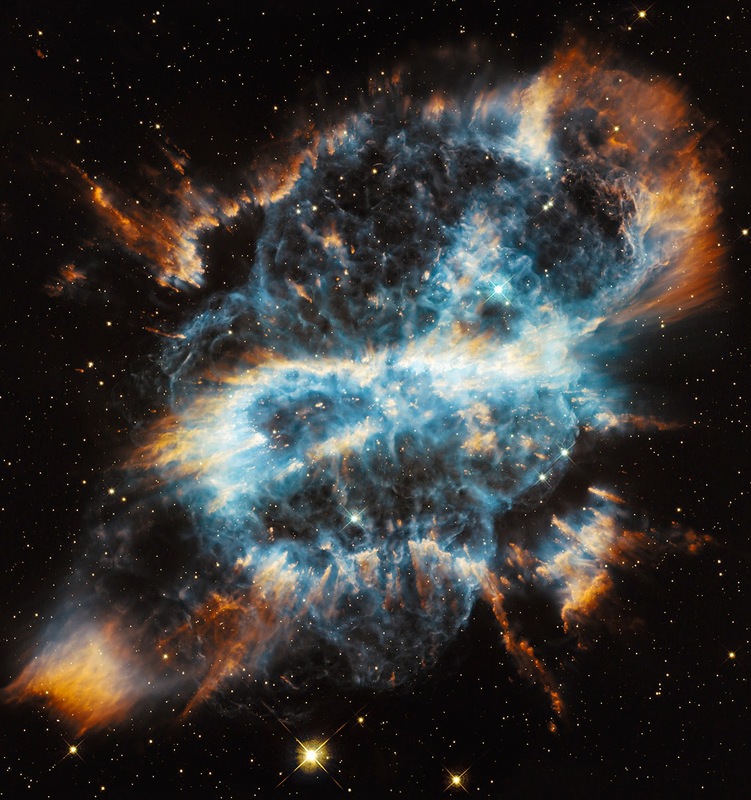 ), and so he would have never referred to an Ascetic Jewish Prophet who had died leaving prophecy unfulfilled as the Messiah, let alone a *divine prophet, and so he could not have referred to Jesus as the Christ. No orthodox Jew of antiquity believed Jesus was the chosen messiah, nor would any Jew have considered Christ to be divine—in any sense of the word—since the Jews continued to hold the covenant with Yahweh believing him to be the one true God. As such, Josephus would *not have called the Jewish messiah by the Greek "Christos." As Christ's divinity would have been seen as blasphemous to any first century Jew—but not to later Christians—it's a strong bet that this Christos business is a later Christian theological consideration. Josephus' utilization of the Greek “Christos” and not the Hebrew "messiah," at the time of his writing, seems to be out of place, and thus a likely denotes a later addition. 2) The earliest Christian writers, such as Origen and Justin the Martyr, frequently quote Josephus but often quote from an earlier version which lacks any reference to Jesus being the Christ. And since their account of Josephus is from an earlier source than the one modern Christian apologists love to quote mine from, we can reasonably be sure that the later addition of Jesus being referred to as the Christ, at the very least, suggests a Christian forgery from no earlier than the third century. 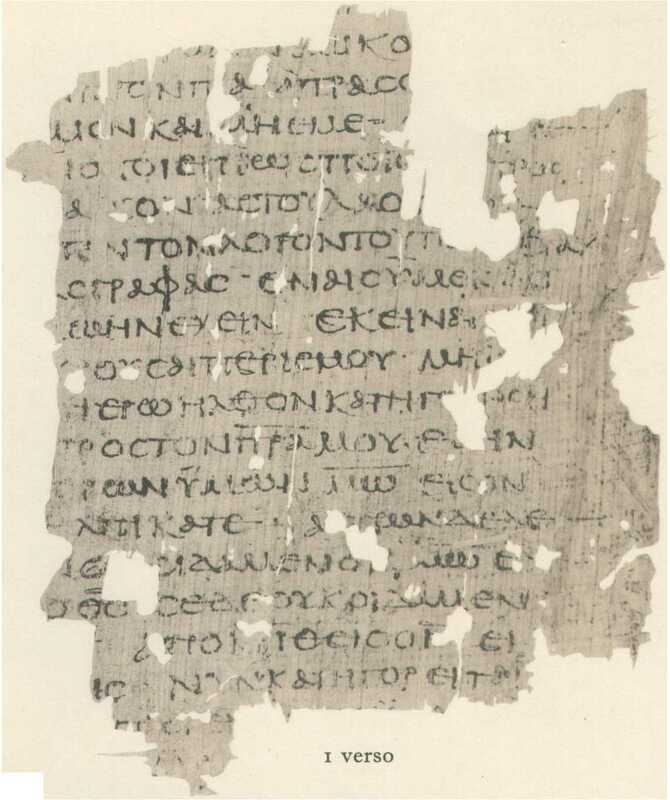 If we consider the earliest copy of Josephus, Origen’s copy, we are left with perhaps a more accurate representation of the earliest known version of the text. Contrary to what Christians might espouse, it actually is evidence against the Gospel Jesus being historically real. The reason I say this is because the Jesus which Josephus is likely recording is not the Christian savior but at all, but Jesus Barabbas (as NRSV) which seems the more historically plausible considering early MSS of Matt. 27:16f. 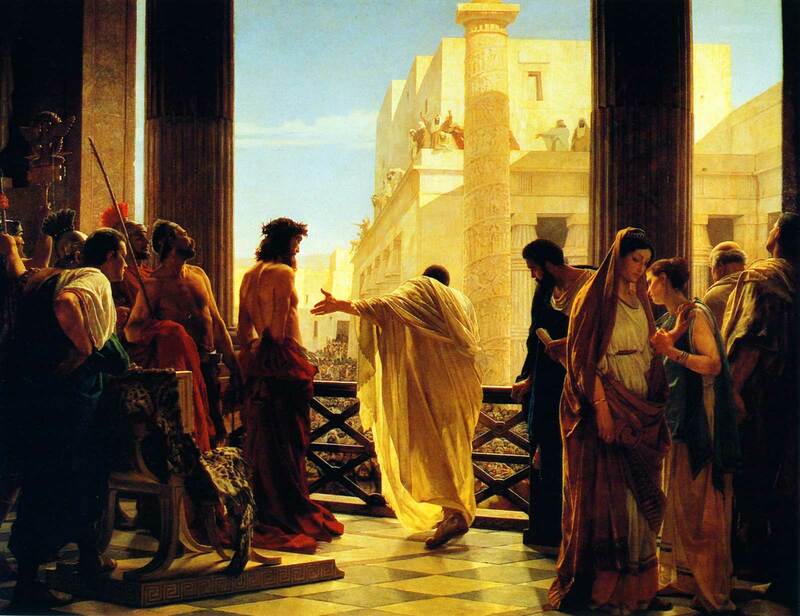 states it was Jesus Barnabas which Pilate was condemning and sentencing to death. Therefore Josephus isn’t even referring to Jesus “the Christ” in the first place, and since we know “Christ” is the forged element of the text we must discard it. Instead Josephus is most likely referring to Jesus Barabbas. The only way to ignore this, it seems, is to ignore the early MSS of Matthew in favor of a third century forgery. But that would be bad scholarship. The oral tradition of the Gospels is accurate. But determining whether or not they can be classified a historical biographies is another matter. That is to say, they read like historically real fictions, according to Christian theologian and scholar Hans Frei in his book The Eclipse of Biblical Narrative: A Study in Eighteenth and Nineteenth Century Hermeneutics. In fact, Frei goes as far as to call the Gospels “devotional narratives” and claims they are to be thought of as narratives divorced from history. He observes that it is only a recent eighteenth and nineteenth century development in Christian hermeneutics in which Christians are trying to justify the Gospels as having an “historical” context. Frei contends they are not historical texts. I am fully in agreement of his line of reasoning. Of course the real reason I and others skeptics like me continue to study Biblical history at all, I’d assume, is because we genuinely are fond of the history of it. We also do not like to see people distort that history simply to force it to conform to their worldview. Rather, their worldview would do better to take an honest and, most certainly, objective look at what history has to say. That’s not true. Anyone who is familiar with the numerous historians who have proposed many of the arguments which comprise the mythicist view will simply know that’s not true. 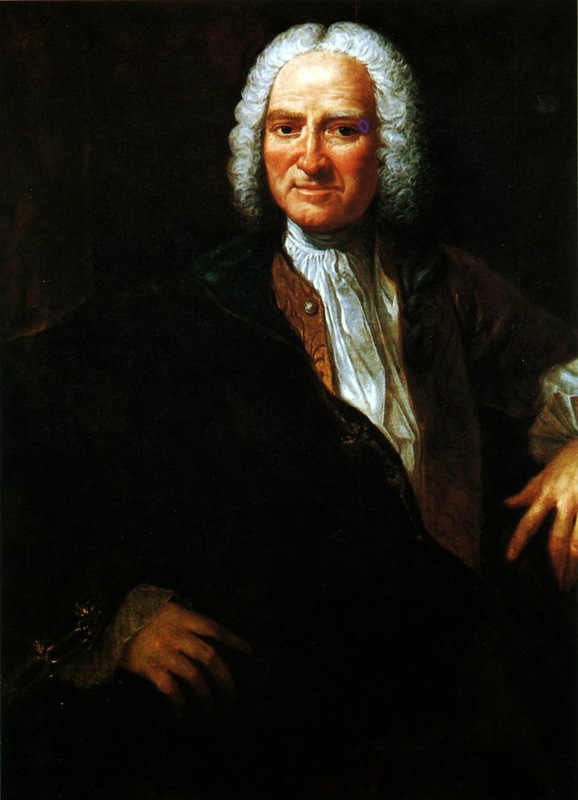 It’s not true because it discounts well known historicist skeptics such as Charles François Dupuis (1742–1809); Constantin-François Volney(1757–1820); David Strauss (1808–1874); Bruno Bauer (1809–1882); Edwin Johnson (1842-1901); Dutch Radical School (1880-1950); Albert Kalthoff (1850–1906); W. B. Smith (1850–1934); J. M. Robertson (1856–1933); Thomas Whittaker (1856-1935); Arthur Drews (1865–1935); Paul-Louis Couchoud (1879-1959); and more recently those such as G.A. Wells and Robert M. Price—all of whom address that very issue. Whenever a Christian believer/historian feels threatened by competing skeptical theories regarding their faith they will quickly turn to attempting to discredit the person rather than the theory. You know that Robert M. Price fellow, right? He’s a quack and a fringe historian! You’d be surprise at how many times I’ve been told this to my face that I feel embarrassed for the person saying it, and not just because I know Bob and he’s a friend and fellow Lovecraftian, but because it demonstrates that the person is almost in every case unfamiliar with the scholars work, so they simply rehash the apologetic tactic of trying to disqualify the person based on no other criteria than the fact that they dare to offer an alternative theory that goes against the mainstream. 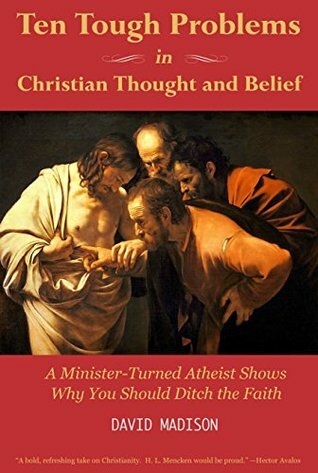 As Avalos observed, this knee jerk reaction by Christian historians to alternative theories that do not comport with their established theology (and privilaged consensus views) are simply catering to the self-serving drive of trying to preserve a position that keeps bread on the tables for so many believers. God forbid a Biblical scholar have to go out and find a real job! So I withdrew my application and moved on to better and brighter things, you might say. Not Greek speaking chroniclers, that’s for sure! Many may say, hold on a minute, but wasn't that the dominant language of the day? Well, it's not to say Greek wasn't frequently used, as English is today, but in a mainly illiterate society, why Greek? Wouldn't most Jews who kept their customs alive maintain using Hebrew to tell what essentially is a story about a Jewish rabbi? The fact that the Greeks are the ones telling the story--means that educated people from elsewhere--and probably much later--were creating the story for their own theological purposes, and has little to do with traditional Jewish orthodoxy. At any rate, Josephus is the best candidate we have for anyone who would have written in detail about Jesus, and he was in and around Judea, yet he barely mentions him in just one line of a hijacked copy of a text. Josephus reports about the existence of a Jesus that Christians followed at the time, but that’s really all we have. It seems to me he is just reporting on what Christians believed, as he indicates no other bibliographical information of Jesus, his mission, who he was or where he was from, only that Christians believed he was the messiah. SJ’s list of things we can know about the historical Jesus only works if you assume the gospels are historical records of Jesus which are reliable, but my point is that this has not been demonstrated. It has merely been assumed by SJ as it has been assumed by most Biblical scholars who take the historicist view simply because it confirms their faith—not because it is the correct view worth taking. What the correct view is, we cannot say, we simply do not have the evidence to claim either way whether Jesus was historical. What we can say is that the Gospels seem to be works of fiction, at least, such a position cannot be ruled out. If true, and fiction is all they are, then what of the historical Jesus? All this is true, of course. Which is why I always get a laugh out of Monty Python’s The Life of Brian and the confusion between whether it is the Judea's People Front or the People’s Front of Judea. But the varieties of Christianity in the early first century only serves to highlight the problem. There were many competing types of Jesus belief, from Gnostic Cosmic Deity, to stoic philosophical guru, to holy Jewish messiah, to gentile redeemer among many other interpretations of these. One thing to note, however, the Jews didn’t actually believe Jesus was the messiah, however (that’s a Christian belief); as evidenced by James failure to worship his brother as such. If James the Just didn’t worship Jesus as the messiah then he couldn’t have really been the Jewish messiah, could he? This of course has been a theological problem for Christians for centuries, so I won’t get into it here, but it’s worth noting that it represents yet another variety of Jesus we have contained in the gospels. Yes and no. I do enjoy Prices taking this concept and fleshing it out further, but I picked up on it from my reading of G.A. Wells who initially brought the concept to my attention. Additionally, it’s not only the Midrash-like elements we need to be concerned about because it seems that the gospel narratives, apart from echoing Old Biblical stories, also copy the themes and patterns of well known Greek epics, such as the Iliad and Odyssey. Helms goes on to cite the work of B.H. Streeter, Reginal Fuller, and Norman Perrin who all believed that the Gospels were spawned by the “creative imagination” of the Evangelical authors. I never said they weren’t. I specifically recall saying the Gospels were a sort of Midrashim. That is, they can be read as a type of Midrashim, not that they are actually Jewish Midrash. They are the works of Evangelical authors who used their understanding of the way in which Midrash works to write a Midrash-like novel. That’s all I meant, and I felt it was implicitly clear, but I am always happy to clarify. Again, just for the record, I’m not a mythicist. I lean toward a Legendary hypothesis, the one “L” that C.W. Lewis neglected to mention in his infamous Trilema formulation in which he posited that Jesus could only have been a Liar, a Lunatic, or Lord. There is always a third option! Of course, my initial comments were directed at the fact that we cannot prove Jesus existed so there is no reason to assume he did unless you have a very thorough understanding of Scripture, in which case, the points are subtle but perhaps not compelling enough to say with any certainty, which brings us right back to the problem of historicity of Jesus! I lean toward the inclination to think that there was a historical figure lurking in the penumbra of ancient history named Jesus whose legend ran wild—until an incredible story got embellished so much it became a magical story—unbelievable even. At any rate, I tend to remain agnostic as to the conclusion of whether there really was a historical Jesus even as I lean toward the Legendary hypothesis. The Gospel Jesus is certainly a work of fiction, but I’d like to imagine him based on a real person. But for those who think the mythicist position is simply disqualified because it is “fringe” then they are the first ones who need to go back and give it a closer look. Fringe, in any case, is simply another way of saying ‘alternative’ and it offers a very compelling alternative theory which explains the rise of Christianity and belief in Jesus via secular and skeptical inferences which, naturally, contend many of the traditional Orthodox modes of thought. But if we never challenged the orthodoxy then we would never know whether or not we truly were in presence of the truth or something else altogether. It’s those who refuse to consider other positions who ultimately limit their overall understanding. I would like to thank Steven Jake for being thorough in his response to my initial comment and his willingness to continue his discussion with an atheist in a respectful and cordial manner. I think we both learned a lot from each other, if not on historical matters then certainly on why each of us necessarily believe what we do. Thom Stark, The Human Faces of God, p. 30. James D. Tabor, “Mysteries of History,” p.41, 2010. Bart D. Ehrman, Forged, p. 46. Richard Carrier, “The Spiritual Body of Christ and the Legend of the Empty Tomb” in The Empty Tomb: Jesus Beyond the Grave; Kindle edition, Loc: 2410. See Bart Ehrman’s Lost Christianities and Jesus, Interupted for more on the varieties of competing Christianity and the amount of conflict and contradictions that arose because of it. Read Price’s essay “New Testament Narratives as Old Testament Midrash” originally appeared in Jacob Neusner and Alan J. Avery Peck (eds. ), Encyclopedia Interpretation in Formative Judaism (E.J. Brill, 2005) and reproduced in The Christ-Myth Theory and Its Problems by Robert M. Price, 2011.